The Spring Ad Sale is Almost Here! 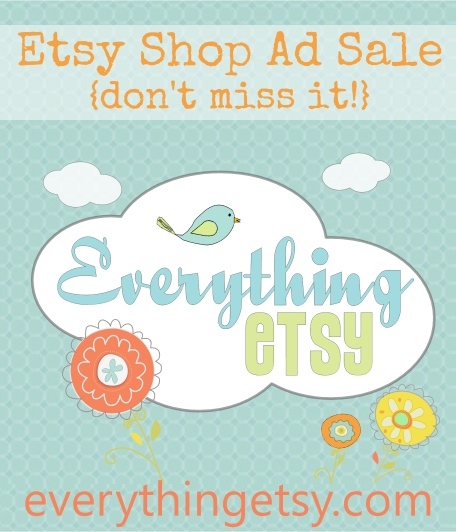 If you’re looking for the best deal out there for advertising your Etsy shop, we think this is it! Every three months for the last three (plus) years, we’ve offered an advertising special for Etsy Shops only. We’ve kept the price low and work hard to keep people coming to the blog so they can find you! At only $20.00 per month for an ad that is shown on just about every page of EverythingEtsy.com (over 1000 unique pages now), these ads are viewed thousands and thousands of times each day! These ads work; more than half of our current ads are repeat advertisers! They sell out quick, so be ready THIS THURSDAY, MAY 9th at 4:00pm EDT. Thursday, when the ad sale is open, we will send out an email with a purchase link in it. Click on that link and complete your purchase through PayPal. This method has made it easier for people to be able to purchase a spot from wherever they are right from their phone, iPad, laptop, or whatever else will let you access your email. This email only goes out to the Ad Special Notifications Email List! You must sign-up and be sure to look for the confirmation email after you sign-up. We’ll send out a few advance emails ahead of time so you’ll be sure you’ve signed-up properly. When you make your purchase (on Thursday), then you’ll email us your information and your ad graphic (which you provide). A few days later, we’ll start showing your ad and sending you some traffic! If the form isn’t visible, click here to sign-up for the email list. 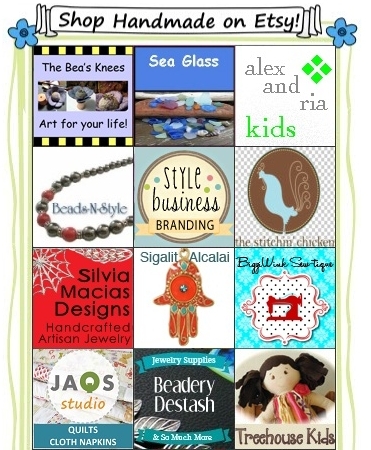 For the first time, we’ll be offering some two-site, and three-site advertising packages that include ad space on our other sites, HandmadeandCraft.com and Etsypreneur.com. These will be some really great deals and since a good bit of our traffic flows between these sites, this is an opportunity to get that important repeat impression. Be Ready This Thursday at 4:00pm! Use the sign-up form above, or click here to sign-up. I hope I am quick enough and don’t forget it because I really want in 🙂 better started stretching my fingers for super duper typing on Thursday! Very excited, I too can only hope I don’t sleep through my alarm since the sale begins at 4am my time!!! You rock, Sam! We always try to schedule it when the most people will be able to easily get a spot, but this isn’t the perfect time for you! 🙂 Good luck! Next Post Fabric Giveaway from Fat Quarter Shop!